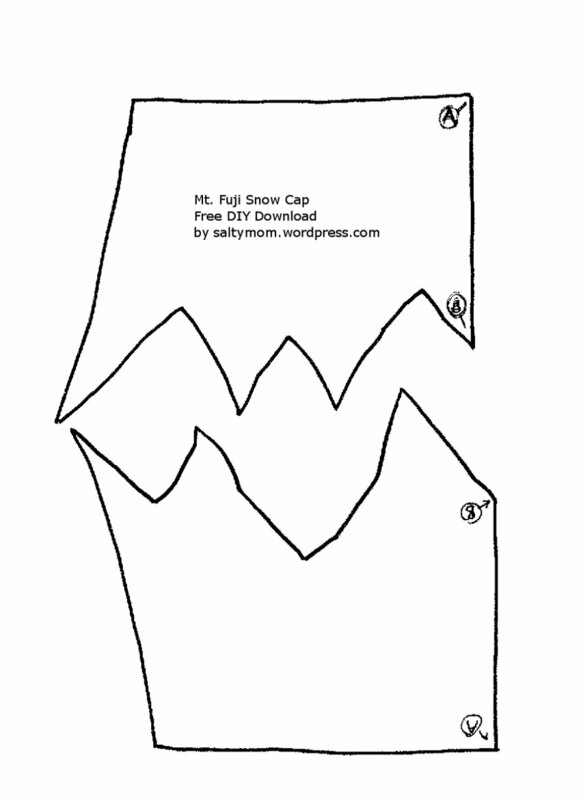 Using the snow cap pattern as a guide, make the mountain pattern by tracing around the top and extending the sides . Then join the base. The patterns are not symmetrical. 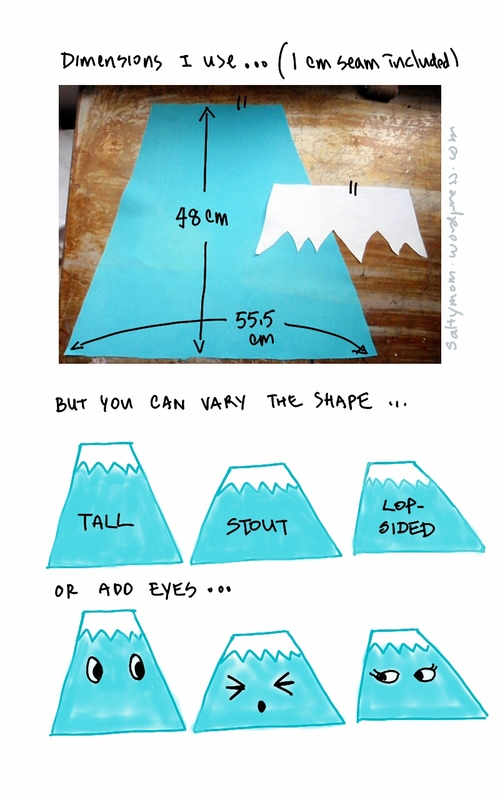 When cutting out the fabric, you’ll need to cut one out from the front of the pattern and another from the back. Wow, my handwriting is like those of serial killer’s. 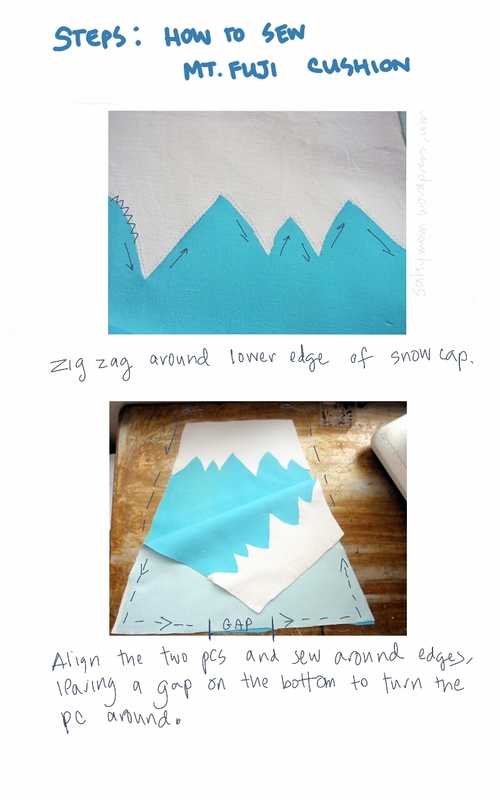 Zigzag stitch the snow cap onto the mountain piece. 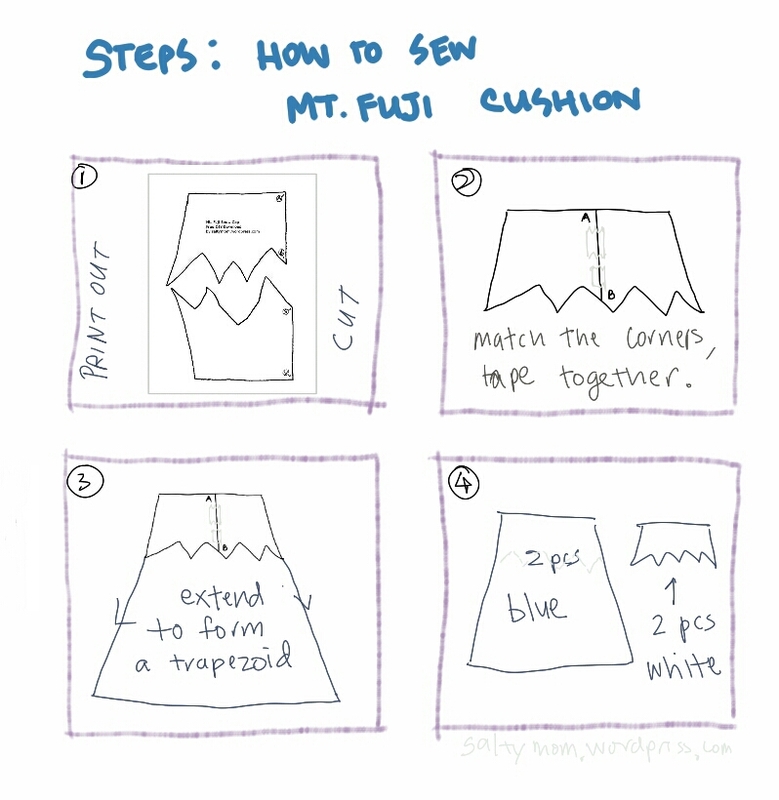 Then place the two pieces with the right side facing and straight stitch around, leaving a gap at the bottom. 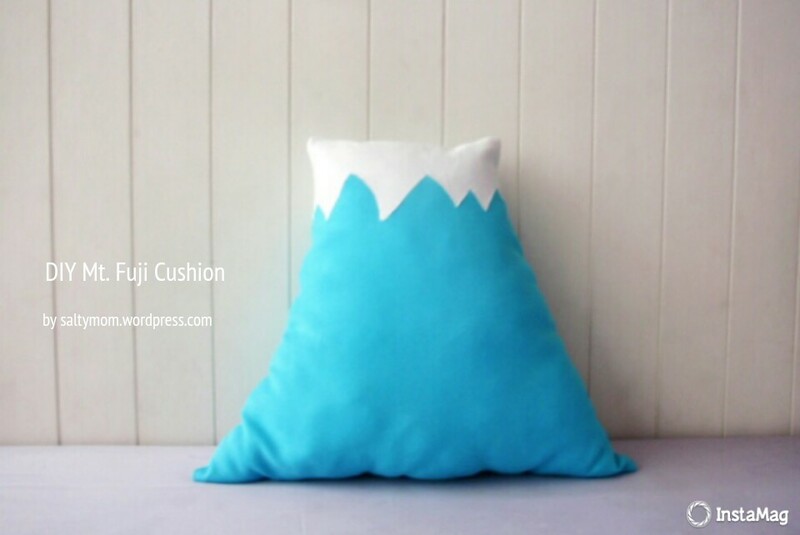 Snip off the four corners so that it won’t get bulky when you turn the cushion cover over. Flip the cover out through the gap and stuff it up with fillings. Hand stitch the gap close and it’s done !